A social justice radio show, a school holiday music program and a website that aims to increase female sports participation are just a few of the Canberra-based projects that have received Great Ydeas Small Grants from YWCA Canberra this morning. Six Canberra women were this morning awarded Great Ydeas Small Grants by YWCA Canberra, to pursue creative projects that will have widespread benefit for the community. The successful recipients were congratulated by former ACT Senator Kate Lundy at YWCA Canberra’s annual Round the World Breakfast event. Held at The Lobby Restaurant in Parkes, the event was attended by 120 YWCA Canberra members and corporate friends, to mark World YWCA Day and raise funds for the Global Power To Change Fund. Ms Lundy also provided the keynote address, sharing personal reflections from her leadership journey, and celebrating this annual, global event. YWCA Canberra’s Great Ydeas Small Grants Program provides funds to local women and girls to pursue a professional development opportunity, pilot a project, business idea, or address a need in the community. The program was launched in 2010 in celebration of the organisation’s 80th anniversary. Since then, more than 30 women have received grants of up to $2000 each. 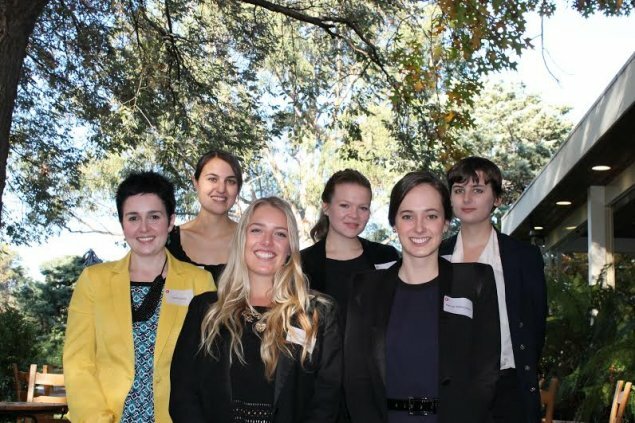 YWCA Canberra’s Executive Director Frances Crimmins said the grants offer a unique opportunity for Canberra women and girls to demonstrate their leadership and innovation. “The ambition, innovation, and courage shown in many of the projects is a sign of the outstanding qualities embodied by women and girls in Canberra,” she said. “The process of choosing the winning recipients was very difficult, but we are pleased to announce these worthy winners today,” Ms Crimmins said. Rosanna is an accomplished young Canberra writer who wrote a popular essay on the social abnormalisation and normalisation of menstruation in 2014, published by The Lifted Brow. Now, with the support of publishers, Rosanna is embarking on research to turn the essay into a nonfiction book. The book will make commentary on how the world perceives, treats, shames and celebrates menstruation. Rosanna will travel to Cusco in Peru to participate in a five-day intensive about Peruvian and shamanic women’s knowledge around menstruation, providing an adventurous and multicultural tone to her writing.